Voice recognition is going to play a crucial role in conducting voice-based searches in the coming years. Even now also, half of the Google searches are conducted with a voice command via devices like Amazon Echo, Voice Pod, Google Home and many others readily available in the market. A voice-based search is likely to focus on long tail keywords as the search queries are generally spoken as sentences, such as “Can whales swim in the water”? To optimize a website for voice search, focus on adding and ranking long tail keywords. Identify one most searched keyword for the service or product you offer and find 2-5 relevant ones. Add these keywords in your content, including backlinks and optimize it for voice search for better results. Google understands the intentions of its users and evolves its algorithms based on it. By knowing which keywords embedded in a website are going to answer the user queries, it decides or generates the site rank. By simply writing a keyword focused content, you can’t expect a top rank on the SERP. What actually matters is the content around the keywords which should be as per the user intentions. Focus on organizing content in clusters, i.e. smaller pages with details in sections. You might have noticed that for any video search query you make, YouTube videos rank in the top 10 spots as compared to other video channels just because they are optimized. Many SEO analysts forget about YouTube when uploading videos. To make sure videos on a website don’t ruin its Google ranking, optimize them to make SEO friendly. Add a file name, title and description for your uploaded video content to get more clicks, views and shares. On the video description tag, do mention what a video is all about. 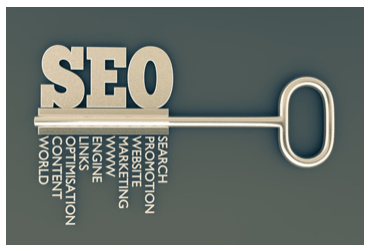 Backlinks are important in SEO and will dominate the ranking techniques even in 2019. Thinking about a higher Google rank without backlinks is hard. Not all links are useful, and some can also bring your website ranking down to a great extent. Low-quality links like blog comments can be spammed easily and harm your site reputation badly. In contrast, links that are earned by embedding high quality content and digital marketing tactics are safe and effective in boosting a website rank. Local SEO should never be ignored, no matter what your long-term goals are. Near about half of the search queries on Google are from users looking for local information. If you want to earn more online business or clients, focus on local SEO and directory listings. Add keyword rich landing pages with a relevant context and get them optimized locally. This will make it easy for the local audience looking for services just like yours in finding your website quickly and helps in improving ranks. So, explained above are some of the high valued or advanced SEO techniques of 2019 that are sure to improve your website ranking on the Google search engine result page. If you want to make your online business accessible in the local and global market, invest in search engine optimization services. Previous post: What is SSL pinning in iOS Applications? How can developers bypass the same? Next post: Talk More Pay Less, What are The Cheapest SIM-only Deals Available?